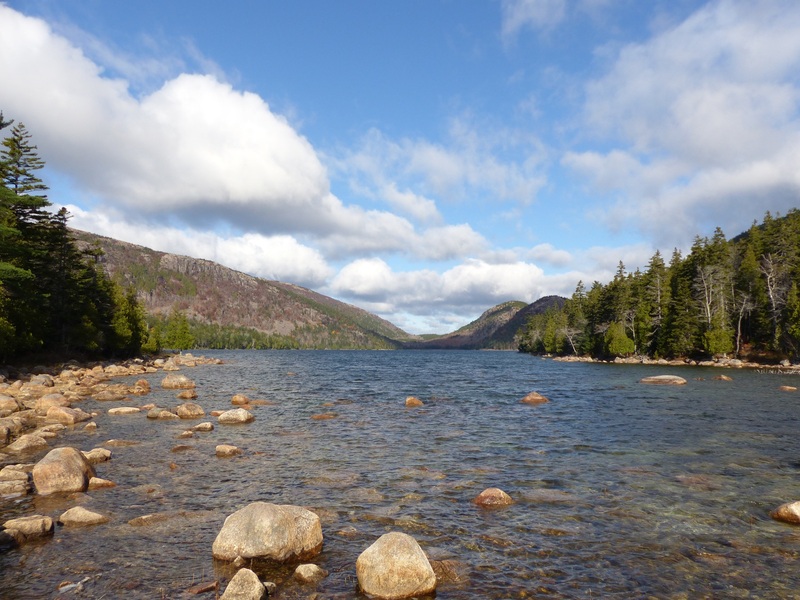 Jordan Pond is a classic Acadia National Park destination. It’s located right off of the park loop road and can include an easy hike if desired. A mellow trail can be followed around the pond with incredible views. No swimming is allowed since this is the drinking water for Bar Harbor. The loop makes for a great mellow trail run which can be lengthened by following a trail on the far side of the pond leading up the Bubbles which are two small mountains with great views. From Bates, Acadia is best enjoyed as an overnight trip since it takes about three hours to get there. There is reasonably priced camping at Blackwoods which is car camping located in the park (see Additional Notes below). After finishing the hike, check out Sand Beach and take a dip! From the park entrance, follow the loop road and look for signs for Jordan Pond. Park at the lot in front of the Jordan Pond House and walk down past the Jordan Pond House towards the reach the waterfront. From here, an obvious trail can be followed in either direction around the pond. A large portion of the trail on the west side of the pond is comprised of boardwalks. The entire loop is about 3 miles of flat easy walking. The trail up the Bubbles is located on the far side of the pond. A great stop that is often linked with other activities along the park loop road. The boardwalks on the west side of the pond get slippery when wet so be careful if it’s raining. Consider spending the night at Blackwoods campground.